Is Disruption a good thing? Let’s ask Southern Civil Society leaders for a change. 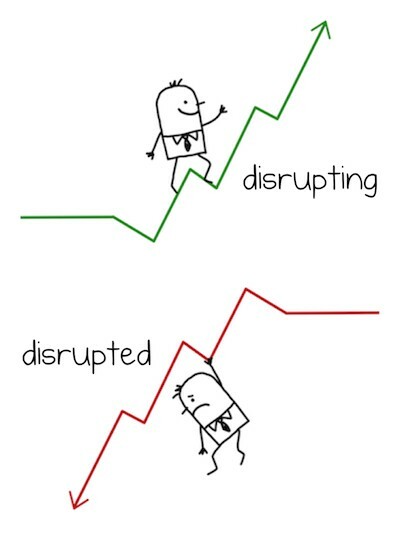 Disruption is cool in the development chattersphere right now, and that may not be a good thing — what if the thing being disrupted is actually useful or valuable? Do you want your marriage/home/body/ cat disrupted? Thought not. Organizations doing good work don’t necessarily have to be innovative (what about practice makes perfect? ); good partners don’t have to be new and funky. Above all, poor people and communities often have way too much insecurity in their lives already (vulnerability to disruption is a defining characteristic of being poor) and don’t need the aid business adding to it by going all disruptive on them. Which means I welcomed the recent IIED report on ‘Getting Good at Disruption in an Uncertain World’. For a start, it goes in for its own brand of disruption by being based on interviews with a range of southern NGO leaders. The interviewees, quoted at length, give powerful insights into the warts-and-all world of southern NGOs — staff turnover, fickle governments and donors, charismatic but sometimes flakey leaders. The overall picture that emerges is one of seat-of-the-pants survival and constant churn — more white water rafting than supertanker. Too often, key players in the international development community, including development agencies and international NGOs based in the North, are themselves disruptors of Southern NGOs’ efforts to tackle poverty and deliver positive outcomes. Interviewees gave numerous examples, such as ‘cut and shut’ changes in donor policy, the disempowering side effects of tendering requirements for consortia, and reluctance on the part of international NGOs to share scarce funding for organisational development with their Southern partners. The negative impacts of both internal and external disruption are more acutely felt in regions and countries where very few NGOs have endowments or reserves to cushion operating budgets during periods of uncertainty. The frequency and intensity of disruption from two sources in particular stood out for our Southern interviewees: funding turbulence, with its associated financial uncertainty; and rapidly changing (and often shrinking) operating spaces for civil society, even among democracies of the global South. Whether understood as sudden shocks or a general awareness of impending change, disruptors are catalysts for organisational change. This paper details the range of approaches interviewees have adopted for anticipating, engaging with, and responding to disruption. Interviewees described how disruptors can trigger re-thinking of organisational missions, business models, and ways of working; they described the roles of their leaders both as disruptors themselves and, at their best, as key players in the avoidance of negative disruption. Several highlighted their commitment to continually refreshing their organisational capabilities, for example, by bringing in private-sector experience or technological know-how. Interviewees were asked to consider the implications of their experiences in managing disruptive change for donors and international NGOs. Northern-based international NGOs (INGOs) must step up efforts to expand the effective operating space for civil society in the South. Through their own operating practices, they need more actively to nurture innovation whilst continuing to value resilience and adaptive capacity. They need to consider the value of — and avenues for — unrestricted financing to bolster organisational development, and the skills and capabilities needed to turn disruption into a creative force for innovation and sustainable development. On disruption as a positive force (James Taylor, South Africa). What if someone moves the bowl, or it’s vodka, not water? that I relate to the term is very closely related to my attempts to understand development itself. When our organisation was formed, our mission was around trying to facilitate ‘development’. 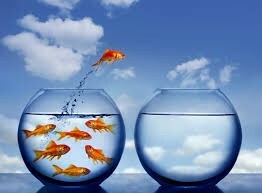 Development is the life-force that carries all life onward. When you start looking at the patterns, stages and phases that all living systems move through, and trying to understand why we get ourselves stuck, you start recognising a number of things. At moments of stuck-ness, disruption is what brings the energy for movement again. It is a force that keeps things dynamic, forming and reforming. 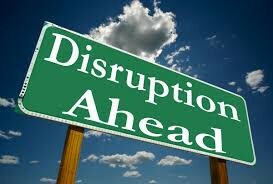 I view disruptors as very, very crucial drivers of development. Often we respond to change in a negative way. But it is a very important part of the tension that develops between the striving for equilibrium and the force for disruption. It isn’t about trying to fix that — it is about working with it. In most NGOs I have worked with, the biggest source of change is in the policy of donor countries. If policy changes in the UK or the US, people have to change their whole approach and/or organisational structure. Many Southern NGOs were quite late to join struggles against climate change. There was resistance in the beginning — [a feeling] that climate change is a Northern, not a Southern, agenda. You might have heard many different voices from the South — if not from NGOs, then from media/government — that we have so many other things to work on; that climate change is not our first priority, whether mitigation or adaptation. Many NGOs held the same view; they felt that food security, poverty, education, access to clean drinking water — all these issues had suddenly gone on the back burner, with climate change becoming the priority. There was a feeling that temperature increase will not bring that much hardship to the South, because the South already experiences high temperatures — that climate change would cause much more trouble for the North. What I’m saying is that frequent changes in positions from the North — without engaging Southern partners — [had] created a deficit of trust.